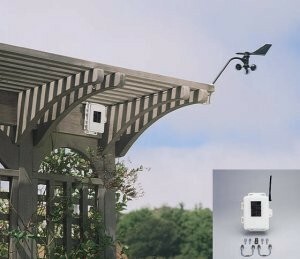 Solar-powered anemometer kit for use with wireless Vantage Pro2 or Vantage Pro2 Plus. Davis 6332 allows you to locate the wireless anemometer independently from the rain collector, up to 1000' (300 m) away from the console/receiver. For longer distances, add one or more wireless repeaters. Kit includes transmitter inside weather-resistant shelter, solar panel, battery, and mounting hardware. First, I'm pleased that I received my order when promised. The kit is everything I expected. The manual is clear and I had all of the hardware I needed to install the transmitter. It is very easy to price shop with Google. I found the same product at a lower price elsewhere. I called Scientific Sales and the person I spoke with worked with me live on the competing website. He then offered me the competing product's price. I purchased the transmitter kit via phone, along with a few other products. I'll return to Scientific Sales for future purchases. NO PROBLEMS. DELIVERED ON TIME.